Murakami Kaishindo, established in 1907, is the oldest sweet shop in all of Kyoto. The shop makes its home between the many antique and handmade goods stores that enliven Teramachi Street. The entire street has a nostalgic and retro feeling to it, but even in this atmosphere, Murakami Kaishindo is special. It is truly “Kyoto’s sweet shop,” beloved by the city’s inhabitants for generations. 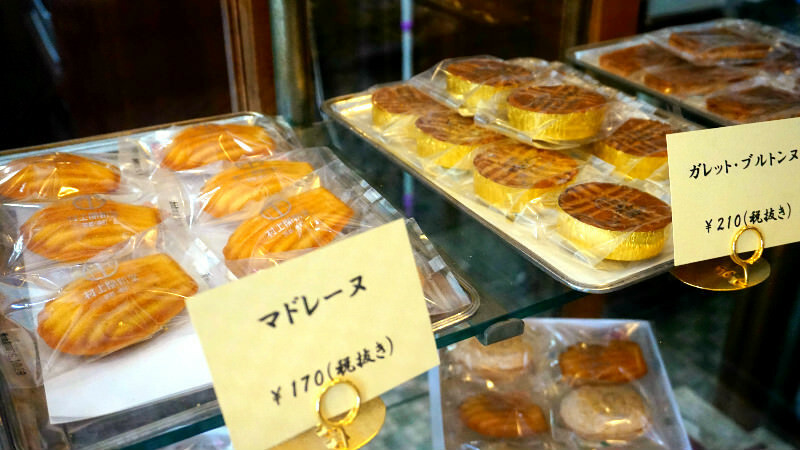 Countless people from Kyoto have grown up with the simple and tender taste of Murakami Kaishindo’s sweets, a taste that has remained unchanged since the store’s founding. The hands of the confectionery makers infuse each treat with a unique care and warmth, comforting anyone who eats them. That is why Murakami Kaishindo has remained so well-loved for so many years. When all is said and done, however, Murakami Kaishindo’s most famous products are the cookies called “Russian cakes” in Japanese. These have become all but synonymous with Murakami Kaishindo, especially since the store has been making them since the time of its founding. The soft cookies are characterized by a fine texture and gentle sweetness. 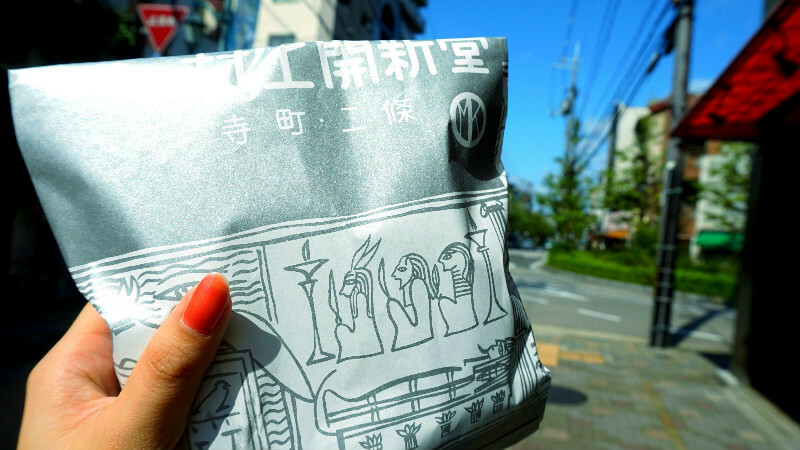 In recent years, Kyoto’s most beloved sweet shop has been experimenting with new kinds of cookies. Murakami Kaishindo is always evolving: the store is now selling Teramachi Vanilla Pudding and madeleines, its first new products in 35 years, and will be making use of the Japanese-style space behind the store to open a café next year. Murakami Kaishindo is a true Kyoto mainstay that continues to try new things while scrupulously preserving its roots in tradition. Kyoto is more than traditional Japanese confectionery and matcha. These sweets, long beloved by the city’s inhabitants, have their own special Kyoto charm. Murakami Kaishindo’s most famous products are the cookies called “Russian cakes” in Japanese. They come in five different flavors, and you can buy them one at a time for ¥180. Russian cakes are a type of Western confectionery similar to cookies. They are an old-fashioned type of cookie that has a softer texture than regular cookies, and comes topped with jam or jelly. These “Western cookies with a twist” have reportedly been made in Japan since the Meiji period. Few shops still sell Russian cakes in the traditional style. Murakami Kaishindo is one place where you can still buy Russian cakes in their original form. Murakami Kaishindo’s Russian cakes have a simple taste that makes you long for a bygone era. The flavor of Murakami Kaishindo’s Russian cakes has a unique charm that sets them apart from both today’s overly-buttery cookies and from crisply textured shortbread. It is characterized by an elegant, gentle sweetness. “Teramachi Vanilla Pudding,” the store’s first new product in 35 years, was developed by fourth-generation store owner Shōichi Murakami. Ample amounts of fresh cream are left to simmer during the pudding’s preparation, giving it a velvety smooth taste. The caramel at the bottom is bittersweet, perfectly complementing the thick, sweet pudding. The puddings are sold separately, each in its own dedicated little bag (visible in the background of photo of the pudding). When the waxed string is pulled tight, the bag becomes a small and well-formed pouch that makes an ideal little present. Teramachi Vanilla Pudding is a new concept that truly appeals to the five senses: it not only smells and tastes, but also looks delicious. A highly recommended product. Another one of Murakami Kaishindo’s new products, 35 years in the making, are its dacquoises. These baked cookies with almond-flavored meringue originate from France. However, the small dacquoises shown in the picture are actually a Japanese product. This cookie was created by a Japanese chef who had studied in France, and who decided to put dacquoises next to Japanese “monaka” cakes and create something new. As you can see, the outside is crisp, but take a bite and the texture turns to luxurious sponge cake in your mouth. A layer of bittersweet caramel sauce in the middle gives these cookies a sophisticated flavor. These dacquoises are also very affordable; one can be had for ¥190. Murakami Kaishindo offers not only traditional Western-style confectionery that it has been making since the time of its founding, such as Russian cakes and orange jelly, but also new Western-style cookies. Most are sold per piece, so you can buy one of each to try them out. You should definitely try one of the new products alongside staples like the Russian cakes. Murakami Kaishindo’s bags have a distinctive, mysterious pattern reminiscent of ancient Egypt. The silvery gray, shiny wrapping paper has a luxurious feel to it, but the whimsical pattern on it makes the whole look very rewarding. The wrapping paper is so unique that you will want to take a picture of the bag. Teramachi Vanilla Pudding needs to stay refrigerated. It only keeps for three days after it is prepared, so taking it home may prove difficult. If you are looking for a souvenir, we recommend choosing Russian cakes or dacquoises. Murakami Kaishindo is Kyoto’s oldest sweet shop. I’m a cookie lover by nature, but Murakami Kaishindo’s Russian cakes are my favorite cookies of all! They’re soft and crisp at the same time. The sweetness is just perfect, and the buttery taste does not overwhelm. I can eat a dozen of these cookies in one go. The shop, over a hundred years old, is a feast for the eyes all by itself. It’s a retro space in Western style, with curving showcases, an amber-colored and well-used counter, and wrapping ribbons draped from the ceiling. The shop’s employees speak only simple English, but will use gestures to communicate with you properly.